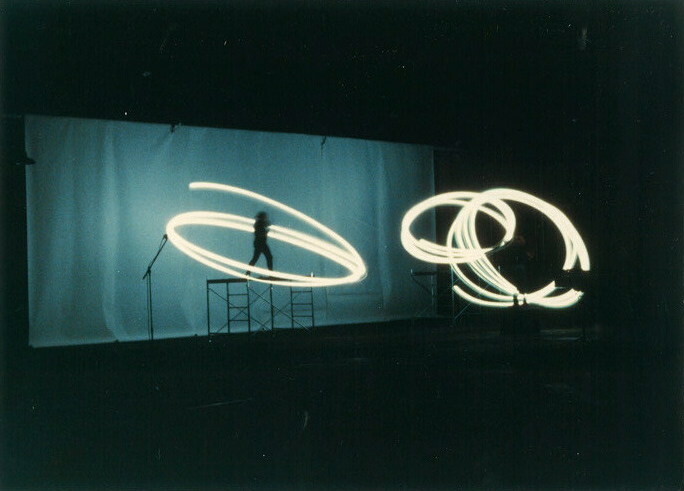 In 1990 Gordon Monahan returned to The Kitchen to reprise his work Speaker Swinging, suspending loudspeakers from ropes whose movements created a variety of Doppler effects, which he had first performed here in 1988. 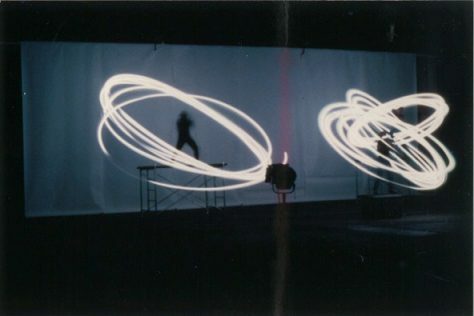 In addition to this theatrical performance, the composer and sound artist premiered The Piano Thing, a work that employed the same abstract and structural approach as his 1981 piece Piano Mechanics. Using an amplified piano prepared with screws, bolts, rubber, and other materials, Monahan moved his fingers along the strings, improvising on the highest keys then descending to the lower to create a poetic cluster of resonances.